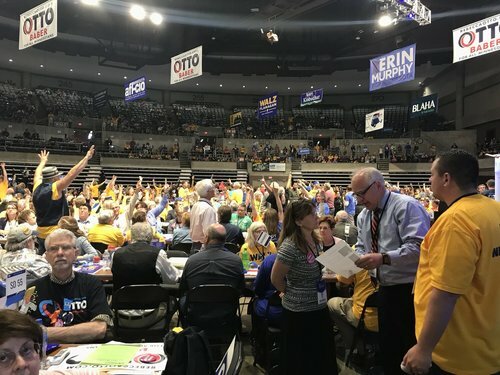 Roughly 1,400 DFL delegates gather in Rochester to endorse a candidate for two U.S. Senate seats, an open race for Minnesota governor, several other constitutional offices. 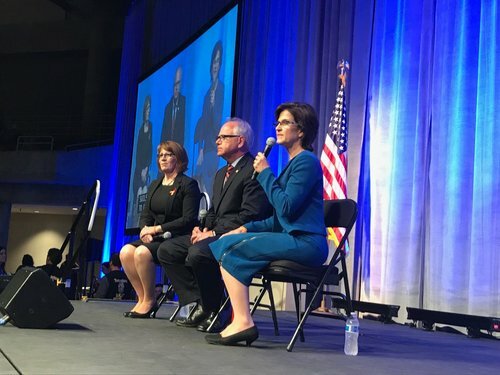 In convention speeches, DFL candidates for governor Erin Murphy, Rebecca Otto and Tim Walz speculate about facing Republican Tim Pawlenty in November. 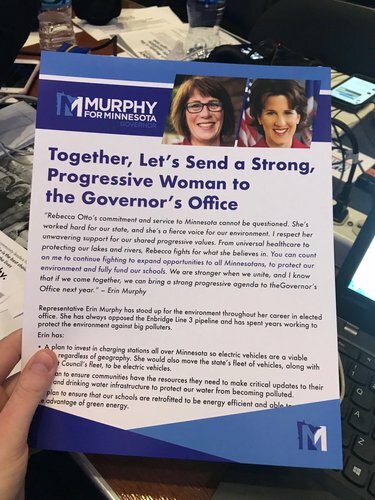 All claimed they can defeat the former GOP governor. 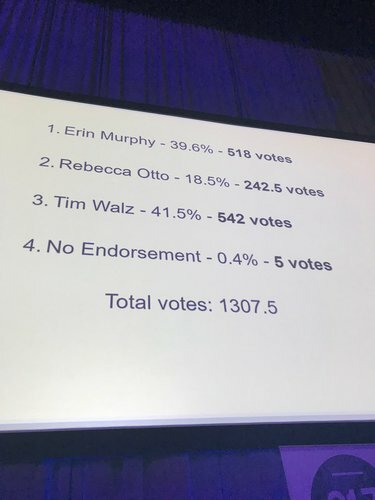 Rebecca Otto took to stage and appeared to be drop out, but didn't specifically say so. 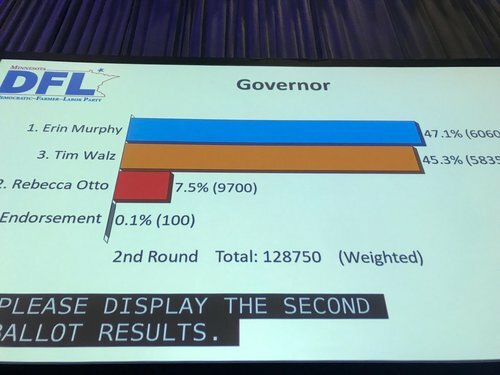 Otto's second ballot showing, 7.5%, would put her out regardless. 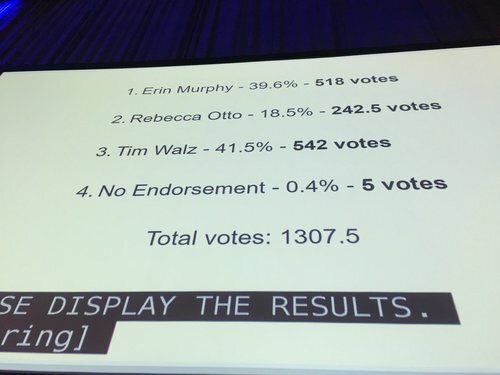 Votes for no endorsement jump to 39.8 % on fourth ballot. 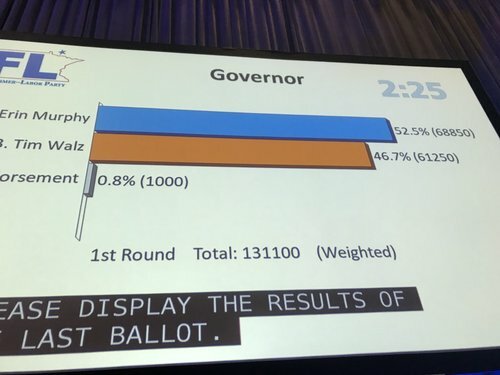 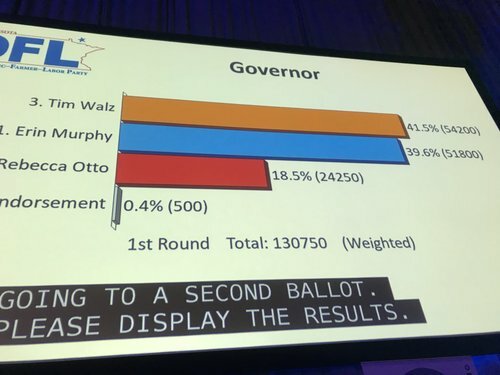 Murphy at 51.9%, Walz at 8.3%. 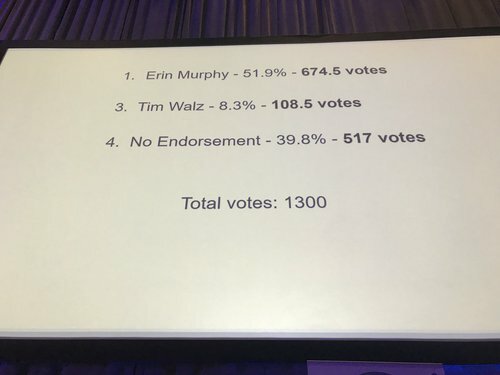 DFL Chair Ken Martin: "Our party cannot expend any resources, money, time or energy on behalf of non endorsed candidates or in cases where there's no endorsement." 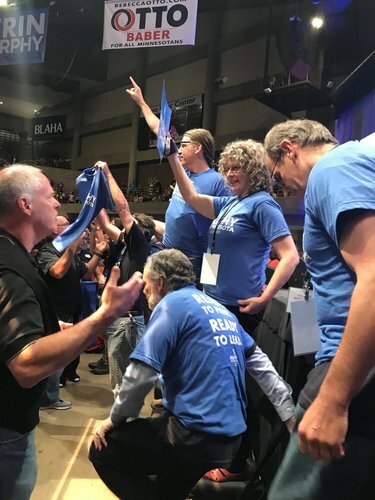 Means they would have to sit out race for summer. 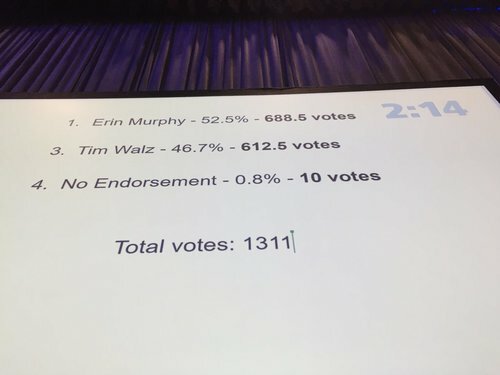 "We cannot wait until August 14 to start taking on Tim Pawlenty." 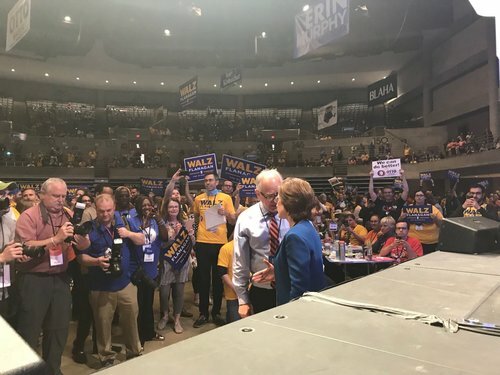 Martin added: "Let's work through this, let's slog through this. 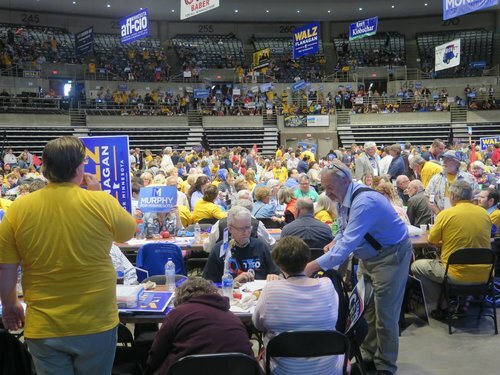 Let's come out of this convention unified." 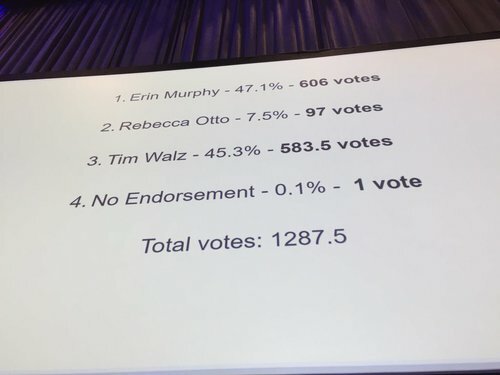 DFL Chair Ken Martin explains downside to no endorsement, which would mean no party resources could be used under after primary.